Philip Seymour Hoffman – award-winning actor, producer and director – died today of a suspected overdose in his Manhattan apartment. Hoffman, who has been nominated for no less than four Academy Awards since his debut feature performance in Triple Bogey On A Five Par Hole opposite Robbie Coltrane, had appeared at the Sundance Film Festival only two weeks prior to his death, in support of two films: A Most Wanted Man and God’s Pocket. I do not wish to speculate as to the reasons behind his overdose, only to comment on what a fine actor Hoffman was. The first film I saw him in – though his presence didn’t register at the time – was Twister, and since then he’s built up an incredibly strong name for himself as one of the most versatile, captivating actors of modern day cinema. From his turn as Scotty J in Boogie Nights, right through to his most phenomenal performance as Lancaster Dodd in The Master, Hoffman leaves a substantial mark on every film he’s in. There’s two performances of his, however, that ring most true with me. The first is Mary & Max, in which Hoffman lends his distinctive voice to Max Jerry Horovitz, a lonely, severely obese man who shares a deep, meaningful relationship with Mary Daisy Dinkle, his younger pen-pal, voiced by Toni Collette. It’s a terrific film – one that deserved to be recognised more than it was, and beholds one of Hoffman’s most moving performances of his career. The second is The Savages, in which Hoffman stars alongside Laura Linney in a comedy drama about a brother and sister facing the uncomfortable hardships and responsibilities that come with caring for their ailing father. Again, it’s a brilliant performance on Hoffman’s part – one that’s imbued with such heart, depth and passion, and matched to perfection by Linney’s turn as his sister, Wendy Savage. The film was rightfully honoured by the Academy Awards, where it was nominated for two awards, including Best Original Screenplay. It’s, then, incredibly sad to be losing such a wonderful talent that’s left an incredible mark on an industry I’m sure he loved with all his heart and soul. His career up to his point of death is one that should be the envy of any actor working today, and it’s only speculation now to wonder to what heights his career would have soared had he not succumbed to a death that’s feels unjust. 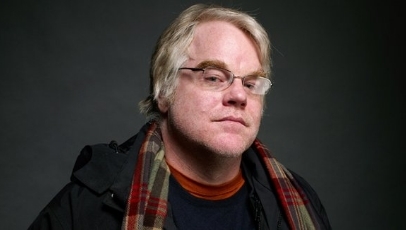 All that’s left to say is: Philip Seymour Hoffman, rest in peace. Thanks for the wonderful, everlasting films. Reblogged this on My Name Spelled Backwards.